The government and companies alike have been actively promoting digital transformation across all sectors. 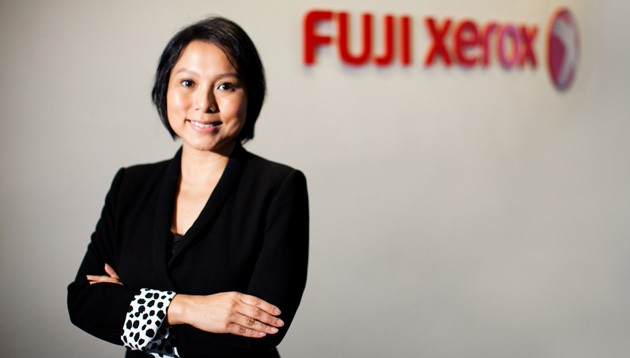 Here’s Fuji Xerox Singapore’s general manager, human capital and corporate social responsibility, Pauline Chua’s, take on the matter. The benefits of digitisation are clear. According to the Ministry of Communications and Information’s (MCI) Infocomm Media 2025 plan, digitisation can increase the productivity growth of businesses by 2-3% percent per annum. It also makes work easier for the existing employees. Workflows are made more efficient through automation and indexing, meaning that time spent on manual sorting of documents can be reallocated. For these reasons, the government and companies alike have actively promoted and adopted digital transformation across all sectors in Singapore. The workplace culture and digital transformation go hand in hand. Workplace culture enables how quickly new ways of working are adopted and embraced. Despite the benefits of digitisation, I’ve observed that such initiatives sometimes stir up resistance among employees. Misconception among employees that automation through digitisation results in fewer jobs. This raises concerns among employees pertaining to job uncertainty and potential layoffs as the introduction of more technology through digitisation renders their skills “obsolete”. Digitisation is seen as a “co-curricular activity” which contributes little results on employees’ day-to-day work effectiveness and productiveness in the short term. So, this raises the question: What can be done about it from a human capital standpoint? My view is that we will need to look at how effectively the organisation adapts to changes and how these changes are communicated throughout the organisation. This can be achieved in three key ways. I believe people are a company’s most important asset. It is therefore important to provide a platform for employees to express their concerns and make them feel involved in the decision-making. Through an open conversation starting from the top, we can better address the misconceptions and uncertainties employees might have. This also presents the human capital department with opportunities to communicate to employees on how everyone plays a vital role in the company’s digital roadmap. The next step is to connect the employees to the appropriate avenues for support. We need to invest in our employees’ growth, development and build their competencies on the digital front. As the market evolves and customers’ requirements change, Fuji Xerox has evolved from a product-led business to one that is focused on solutions and services. Similarly, we’ve had to focus on developing these skills set in our employees. All our sales account managers had to go through a Comptia ICT (Infocomm Technology) Certification course to equip them with basic software, hardware, security and networking skills. For our office solutions engineers, we trained them on the next level of IT and networking skills as our products become more integrated with other networks and applications. Our managers have been put through a Driving Change Workshop to equip them with the skills to help their teams overcome resistance to change and move them closer to embracing it. I believe in setting the right frameworks and creating a positive culture. Leaders can play a big part in cultivating a more open, transparent work environment encouraging employees to ask questions, speak up and share new ideas. Organisations need to develop an internal environment that stimulates innovation and growth to stay ahead. At the end of the day, adopting a positive workplace culture encourages employees’ acceptance and eventual embracement towards digitisation. Put people at the heart of the business. Treat your people as an asset, as critical to the digital transformation and success of the company. Invest in them, enrich their lives. Do not just meet their career growth needs but their overall well-being. These are the best firms for upskilling employees' IT knowledge, as voted by HR professionals in Vendors of the Year 2014. ..
DBS Bank's Singapore offices embrace the organisation's Asian roots, while providing a flexible and social work environment. ..
Are employers addressing the overwork culture in the ad world?